"Society women and lovers of toy dogs were out in force yesterday in the Astor Gallery of the Waldorf-Astoria, which had been set apart for the eleventh annual show of the Toy Spaniel Club of America. Nearly 100 English Toy Spaniels and 265 [in] other breeds of toy dogs competed for the blue rosettes, which proclaim the fortunate winners as the champions of their respective breeds. The Astor Gallery was used for benching the fancy animals, while the judging was done in the east room, where two rings were staked off. While the serious business of the show was transacted in the east room, the most interesting features of the canine display [were] witnessed in the Astor Gallery, where more than $100,000 worth of dogs were housed with [the] care and attention enjoyed only by children of the rich. There were white aproned maids whose sole occupation was to brush and comb their valuable charges and hand them to their mistresses, who carried them into the ring to pass under the view of the judges. Pink, orange, and blue pillows of silk and satin were placed at the bottom of many of the cages, for kennels were not allowed in the Waldorf-Astoria, and, besides, it would be too vulgar for the delicately nurtured, high priced dogs on their annual show day. The hangings were of a color and material to match, and in many cases miniatures of their owners' boudoirs. In spite of these extravagant evidences of the monetary value of the dogs and the real attachment between the owner and animal, it was a real dog show to which champions of Europe and the best breeds in America competed for premier awards, and the home-bred dog more than held its own under the severe scrutiny of the judges". The article continues by mentioning an impressive list of prominent persons of society watching from the galleries as well as listing the important winners and owners of the various breeds and classes. The columnist is not credited but may very well have been the following person of importance. One of the earliest fanciers and a founding member, as well as one-time President of the Toy Spaniel Club of America was Lillian Catherine Moeran of Southampton, Long Island, N.Y. She was the daughter of Edward H. Moeran [1848-1904] and Elizabeth Steers Moeran. A native of Ireland, her father was a New York attorney, notably representing Marconi Wireless Telegraph Company. He owned a house in the city and had a country estate called Gortmore, near Southampton on Long Island, where he kept a kennel of sporting dogs. The Moerans were socially prominent and are mentioned frequently in the New York society pages of the era. The Moeran family motto was "Fides non timet" [Faith does not fear]. Lillian was born about 1875 and was active in purebred dogs at an early age. Her informative books, columns for "Dogdom" [an early dog show magazine] and newspaper coverage of her show successes provide much of the earliest information we have about the breed in this country. She was also a respected author and breeder of Pekingese [AKC recognized 1906] and Yorkshire Terriers. Historians are deeply indebted to her. As Mrs. Lillian Raymond-Mallock, she continued to be extremely influential in the breed in England, emigrating from the US permanently sometime after presenting the Ashton Cup at the 1904 Westminster show as mentioned previously. She had been married on August 12, 1903 in the parish church of Frimley, England to Royal Artillery Captain Arthur M. Raymond-Mallock. In the United Kingdom, she remains admired even today, long after her passing in September of 1938. In the United States, her kennel name had been Ashton. According to the late Phyllis Howlett Watson, she brought several of her best dogs with her to England. Once established in Brighton, England, she became proprietress of the great Ashtonmore Kennels [this name change was necessitated by the existence of an Ashton Kennel in England] and was acclaimed for her excellent toy spaniels. 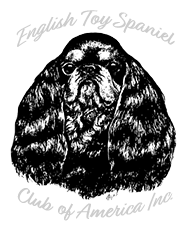 The Ashtonmore toy spaniels are easily traced and are found in the pedigrees behind the successful modern bloodlines here in the U.S. and abroad.